When most people think of Onkyo, they probably think of the company’s high-end receivers and home theater systems. The company’s other products like its headphones and Bluetooth speakers don’t receive as much recognition, but the Onkyo seems set to change that with a trio of new products. Along with Gibson Innovations, Onkyo announced in a press release today (Google Translate link) that it will be bringing three new high resolution audio products to the market: the X9 HRA Bluetooth speaker, and the H500M on-ear and E700M in-ear headphones. All of the products are meant to be used with the Onkyo HF Player app, which supports 192 kHz/24-bit playback and lossless audio codecs like FLAC, WAV and DSD. The clear star of the show here is meant to be the X9 Bluetooth speaker (pictured above), which Onkyo calls the world’s first high-resolution Bluetooth speaker. It features an aluminum build with a silver finish, and boasts four mid-bass drivers, two tweeters, and two passive radiators. Battery life is listed as 10 hours, and the speaker even features a dedicated High Resolution Audio headphone output. The H500M on-ear headphones are the only member of the bunch that aren’t built from aluminum, instead using a chunky plastic build that is available in black or white. 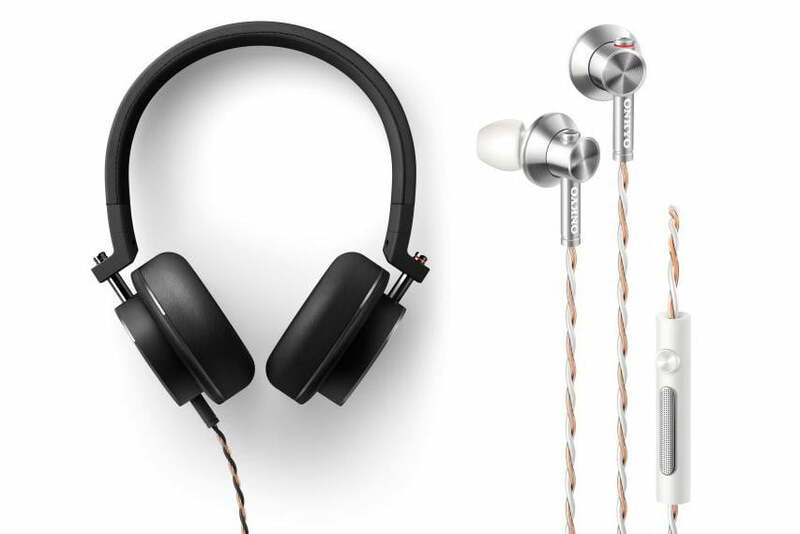 The headphones feature a low-impedance “High Resolution Audio-capable” cable that includes a built-in mic and remote. The headphone’s frequency range is stated as 7 Hz to 40hKz. Last but not least the E700M in-ears share the X9’s aluminum build, but are available in black or white varieties. The cable does feature a mic and remote, but doesn’t tout the same “High Resolution Audio-capable” marketing hype. Frequency range is listed as 6 Hz to 40 kHz, and the in-ears come with both silicone and Comply foam tips. The X9 is the most expensive of the bunch, selling for €350, or roughly $400. The headphones are more affordable no matter which you pick: the H500M sells for €180 ($200), while the E700M can be had for €100 ($115). No specific release date has been announced, but all three products will be released sometime this fall. In the meantime, the products will be shown at Onkyo’s booth at IFA in Berlin, which kicks off on September 3, and Digital Trends’ own Caleb Denison will be there to bring you the details and ears-on impressions.